Hi there! Welcome (or welcome back) to Adventures at Franklin, a blog for sharing everything there is to know about living and learning at Franklin University Switzerland. 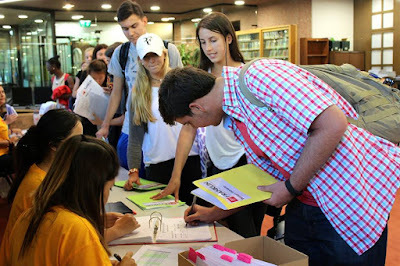 A new semester just began, full of the numerous activities that are a necessary part of getting settled in at the start of the academic year. There were clothes to unpack, friends to reconnect with, and groceries to purchase — not to mention a whole group of new faces to welcome to campus! Weary travelers came from far and wide to be greeted by our beautiful campus. New students arrived in Lugano this August for a week-long Orientation program, designed to help them get to know one another, adjust to life abroad, and conquer jet lag before school began (if necessary). These students were also introduced to their Orientation Mentors (OMs), Academic Mentors (AMs), and Resident Assistants (RAs), who were trained to guide and inform the new students about navigating both life on campus and academics. 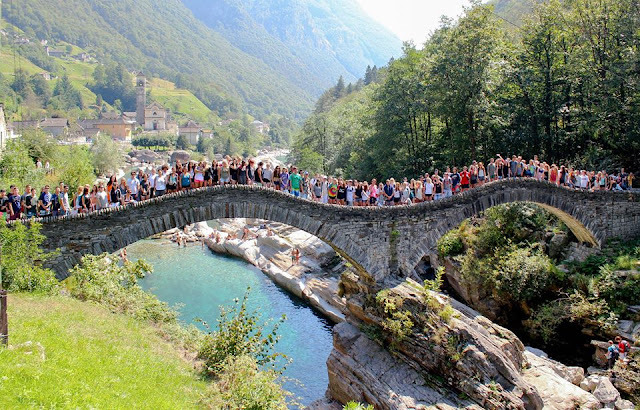 The week culminated in the oldest traditional outing to Valle Verzasca, an area nearby known for its beautiful waters and a Romanesque bridge that is featured on Franklin’s crest. First meal at the Grotto - and smiles all around. New students lined up along the bridge for this great photo-op. 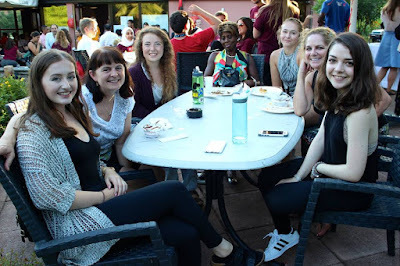 Click here for more photos from Orientation week. Returning students, myself included, arrived on campus about a week after new student Orientation had started. “Who are you?" you may ask. Well, after the graduation of the blog’s previous writers, Jessica and Morgan, the torch of blog authorship has been passed down to the next generation of Franklin — and that happens to be me. In case you don’t know me yet, my name is Gabrielle, and I am excited to be taking on this challenge. I have just entered my third year at Franklin, and am majoring in Communications and Media Studies with a minor in Management. I couldn’t feel happier or more lucky to have the opportunity to study and live here in Switzerland, my mother’s home country. Despite the fact that I was raised in the United States, I’ve always felt a strong connection to Switzerland, and finally having the chance to explore that half of my roots has been great. Just like any other Franklin student, though, my adventure here has not been a perfectly smooth and bump-free road. I’ve learned a lot about myself and the world around me, and I’ve realized that although studying abroad can have its daunting moments, there is always someone there to lend a hand. This summer, I held a full-time internship in Zurich at an NGO. Though work kept me busy, I still managed to satiate my travel cravings by taking several weekend trips to Germany and finishing my summer off with a week in Spain. After that holiday, I feel prepared to take on this new semester. 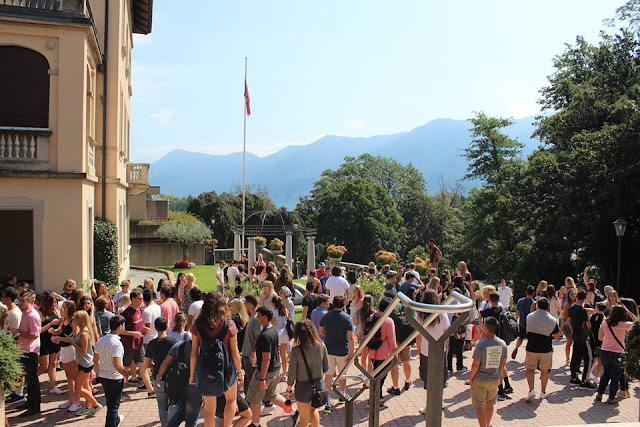 I am looking forward to sharing this wonderful place with my readers through posts about academics, residential life at Franklin, learning with professors, post-Franklin preparation, grad studies, travel experiences and Switzerland itself. 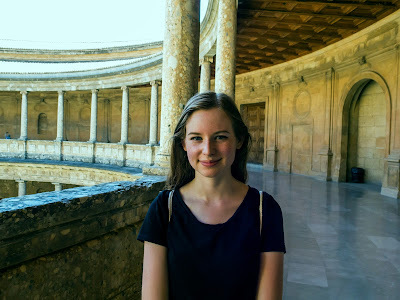 Here's a photo of me at the Alhambra in Granada, Spain this summer. Such an incredible place! Through this blog, I hope to build upon the amazing foundation set by Jessica and Morgan in order to maintain and grow this valuable resource. I’m writing it for all of you — current and prospective students, parents and families, alumni, faculty and staff, and anyone else out there who is interested in the happenings and experiences here at Franklin. I hope you decide to stick around.